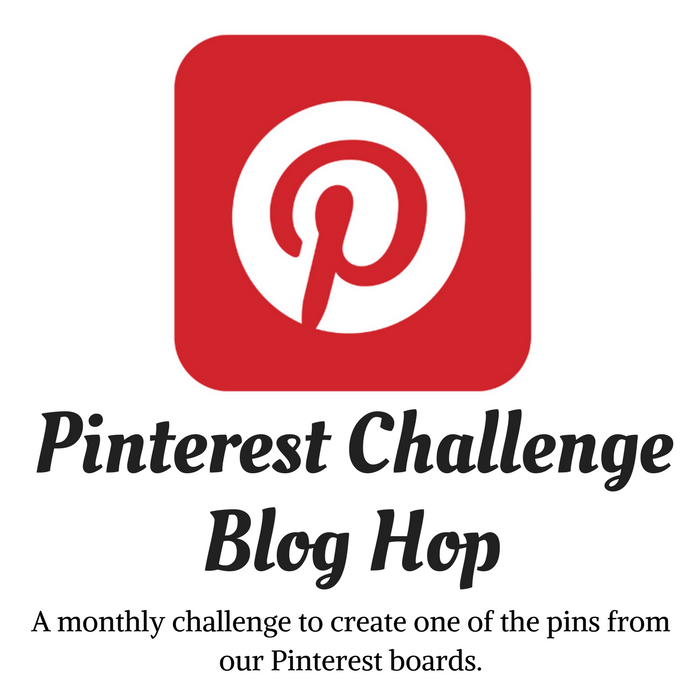 I’m participating in the monthly Pinterest Challenge, hosted by My Pinterventures. The goal of the challenge is to try one of those fabulous, recipes, DIY projects, and etc. that I’ve been pinning all month. My pinspiration was Strawberry Jell-O Poke Cupcakes by The Country Cook. My in-laws make a Strawberry Jell-O Poke Cake. They bake it in a 9 x 13 pan, and top it with strawberries and whipped cream. The basic idea of a “poke cake” is to literally poke holes in a cake and pour something inside those holes to make it moist and flavorful. Liquid Jell-O is poured inside the holes in the cake, in this instance. It doesn’t gel, it just makes the cake moist and delicious. I’m not a fan of regular cake, and many times I just eat the icing off the top. However, I do love a good, moist lemon pound cake, and my in-laws’ Strawberry Jell-O Poke Cake. You can see the moist, lemony goodness inside the cupcake. I decided to combine the flavors of my two favorite (non-chocolate) cakes into one fabulous, festive cupcake. I took the flavor of the lemon pound cake and the moist goodness of the Strawberry Jell-O Poke Cake and made some Lemon Jell-O Poke Easter Cupcakes! Follow the instructions on the cake mix box to make the cupcakes. Preheat the oven to 350 degrees, then blend the cake mix contents, egg whites, oil, and water together with an electric mixer. Place the cupcake liners in the cupcake pans, and fill them half-full with cupcake batter. My cake mix box suggested 18-21 minutes for baking, so I set the timer for 18 minutes and popped the cupcakes in the oven. While the cupcakes are cooking, boil 1 cup of water on the stove in a small sauce pan. When the water reaches the boiling point, mix it with the lemon Jell-O box contents in a small bowl. Stir with a whisk. When the cupcakes are done, pop them in the freezer for about 20 minutes. Next, take the cupcakes out and poke each one with a fork about 6 or 7 times. Pour the liquid lemon Jell-O over the cupcake holes (I used a serving spoon). Try not to overflow the liquid. If you do, it will congeal underneath and around the outside of the cupcake liner and be very sticky later. Pop the cupcakes back into the freezer for another 30 minutes. Pour 1 cup of shredded coconut into a quart-sized ziplock bag. Add 5 or 6 drops of food coloring. Zip the bag shut and blend it all together by massaging the outside of the bag until the coconut is uniformly green. Next, take those cupcakes out of the freezer and set up a Lemon Jell-O Poke Easter Cupcake assembly line of cupcakes, icing, green coconut, and Whopper Robin Eggs. Spread the lemon icing generously on the cupcakes with a butter knife (that’s what I use-not fancy, but very effective). Place 3 Whopper eggs in the middle of the cupcake. Sprinkle with green coconut, pressing it down just a little bit with your finger tips to make sure it adheres well. That’s it, you’re done! Everyone will want to know what’s IN these cupcakes that makes them so lemony and moist! It’s up to you- you can tell them, or keep it to yourself like a secret weapon! Also, you can make any flavor of Jell-O cupcakes you want. You can match the cake mix flavor to the Jell-O and icing to make it a triple-flavor-threat. If you decide to make them yourself, please send me a picture. I love lemon and these cupcakes sound so good. I have never made a poke cake, but always look at the recipes. Poke cakes are so moist! You should try making one. These sound nice, and look perfect for Easter. You give some great tips to make the cakes successful to like not overfilling with jello so they are not sticky underneath. I learned about the stickiness the hard way.? I love poke cakes! This is perfect for Easter! Sounds like a classic Easter dessert favorite. Lemon cake of any kind sounds like a nice change from the normal chocolate everything. I like chocolate too, but lemon is a close second! Thanks, Cherryl! Have a Happy Easter! My birthday and my sister’s birthday are in the spring. I was actually born on Easter and occasionally my birthday will fall on that Sunday. My mom would make us homemade birthday cakes with the same green coconut and Easter eggs decorations you feature. Such happy memories. Thank you. These are darling and sound delicious and refreshing. Our favorite cake mix is the confetti you featured. What a bonus to add the Jell-O. Thanks Leslie! I do love making different things with coconut and food coloring.